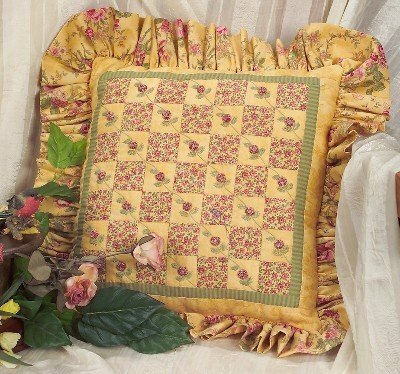 18" square pillow that features embroidered leaves, vines, three dimensional miniature yoyo flowers. Easy strip piecing forms the center block of this pillow. Embroidered leaves, vines and a miniature three dimensional yoyo make the rose bud.